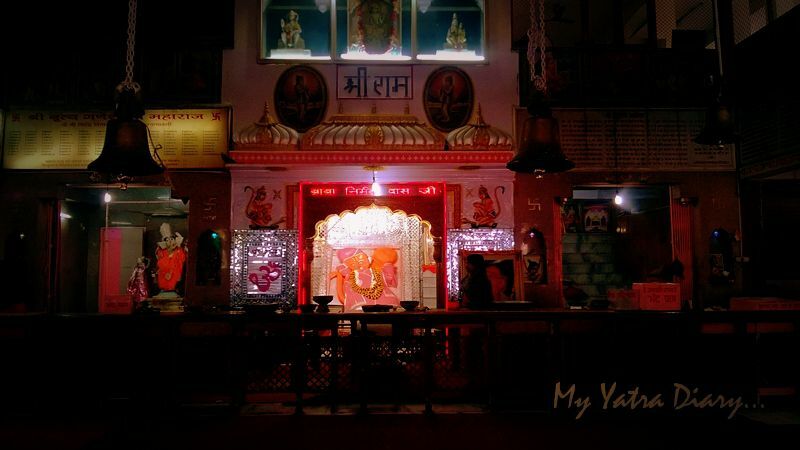 Ancient Khole Ke Hanuman Temple in Jaipur: Darshan and Rajasthani Rasoi. where the conception of being a servant of the Lord is completely lost. 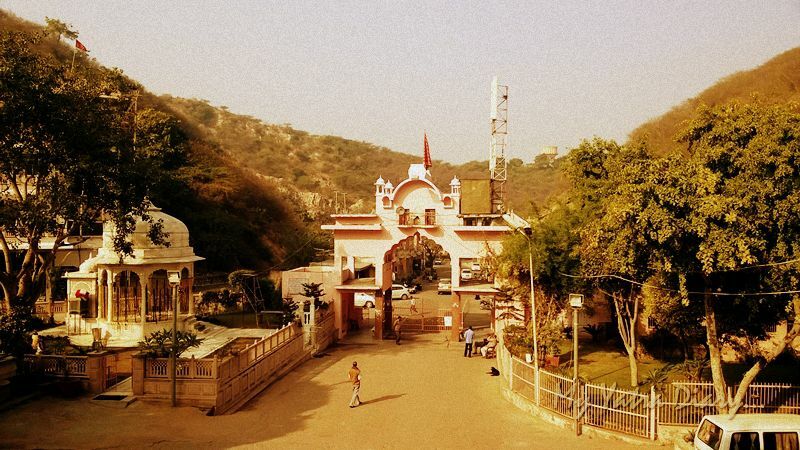 Perched near the summit of a wooded hill and approached by forested winding roads is the ancient and famous, Khole Hanuman temple of Jaipur. As our car, bound on the way to the temple, left the main road and took a detour – the sight of the enveloping mountainous landscape holding in its cup, the green rolling pathways – quickly stole my heart. Among my numerous visits to this royal city, this was the first occasion of paying my reverence in this beautiful and very peaceful 18th century temple dedicated to the monkey God Hanuman and I wondered how I missed visiting it before. The lane leading to the temple gate with the mountainous landscape as backdrop. 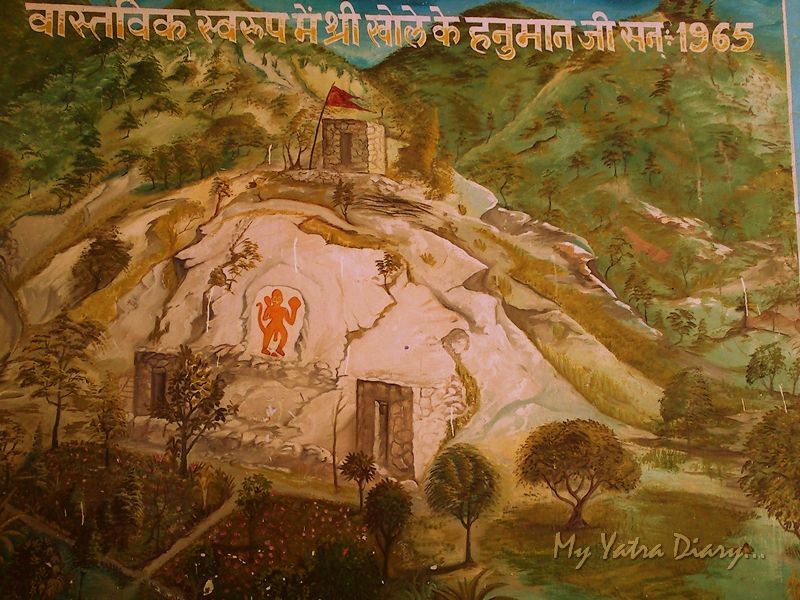 Khole Ke Hanumanji temple -- as it was in the year 1965. Khole Ke Hanumanji - The magnanimous temple building NOW, in 2015. Situated in the outskirts of the Jaipur city, on the Delhi bypass road, Khole Ke Hanuman temple enjoys an unprecedented fame drawing a relentless flock of devotes and loyalists all-round the year, Tuesdays and Saturdays, being the most crowded days of the week. However, I visited the temple on Friday in the morning hours around 10.00 am, an opportune time when the temple was devoid of any noise, throng or chattering. 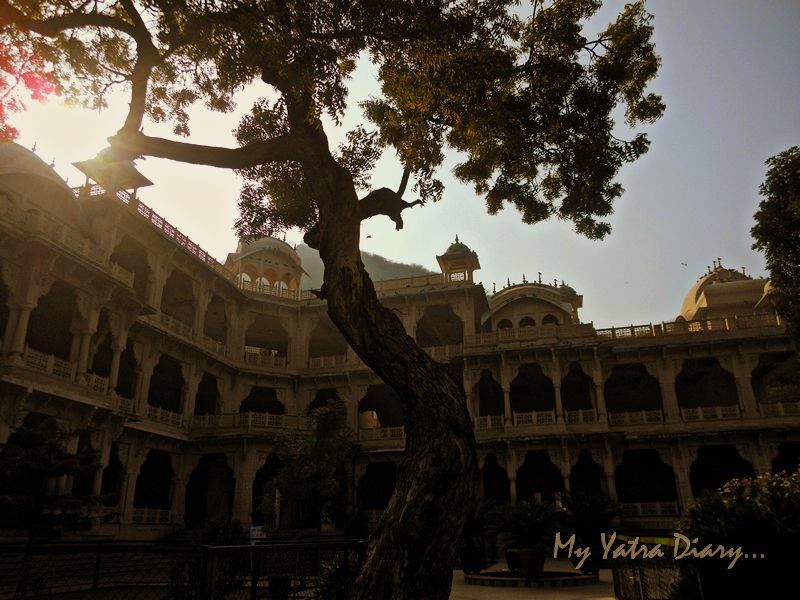 The massive courtyard, brushed in soft sunlight colours, oozed an enigmatic allure of peace and sanctity and held within its premises the magnificent temple basking in the shadows of towering mountains behind and arched havelis around. Unique reclining deity of Hanumanji in Khole ke Hanuman temple in Jaipur. ... an airy room housing the reclining deity of Lord Hanuman in the centre. Although the room is dark with dim lights, the sanctum, gleaming bright with silver glided lighting, painted a contrasting picture, one that educed a spiritual awe; here, the moustachioed Hanumanji, clothed in saffron-colored sindoor paste, rests adorably. He is wearing a light pink Kurta matched with a pristine white Dhoti, topping it with a matching cap, imprinted with the eternal words resonating deep in the chambers of His heart. … Can you read the words ‘Jai Shri Ram’ on Hanumanji's cap? 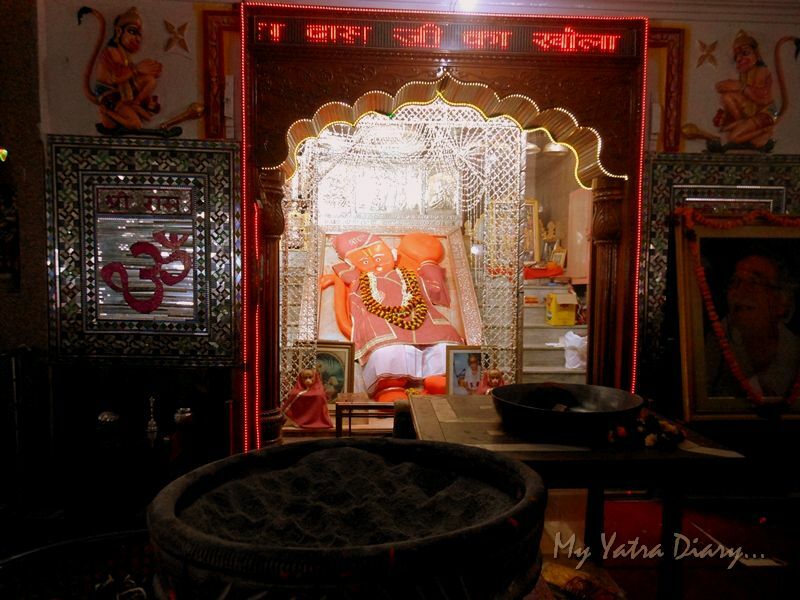 On either side of His room, are two other deity rooms housing deities of Lord Ganesha and Lord Shiva. THE TEMPLE WALLS are equally delightful; full of colourful illustrations revealing layers of inspiring stories and charming tales from the epic Ramayana. Also inscribed is the favourite Hanuman prayer called Hanuman Chalisa, which if fervently recited, is mighty powerful to ward off sorrows and evils and to receive favourable blessings from the Lord. 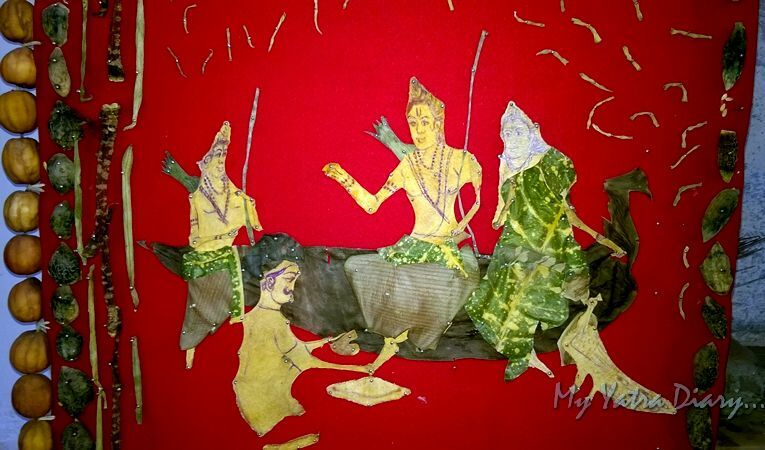 An artistic illustration recounting the riveting story of the boatman, Kevat and Lord Ram. The temple is more crowded and spiritually livelier during the arti times and particularly on Tuesdays and Saturdays (His favourite days) but otherwise, the air is generally meditative and calm. You can sit in the temple in one corner, chant His names or recall His great acts of service and devotion towards His Master Shri Ram for as long as you may like and rest assured, no one will disturb. WANDERING AROUND... THE TEMPLE COURTYARD: HAVELIS AND RASOI. those, that afford a sweeping view of the regal majesty of an era gone by. 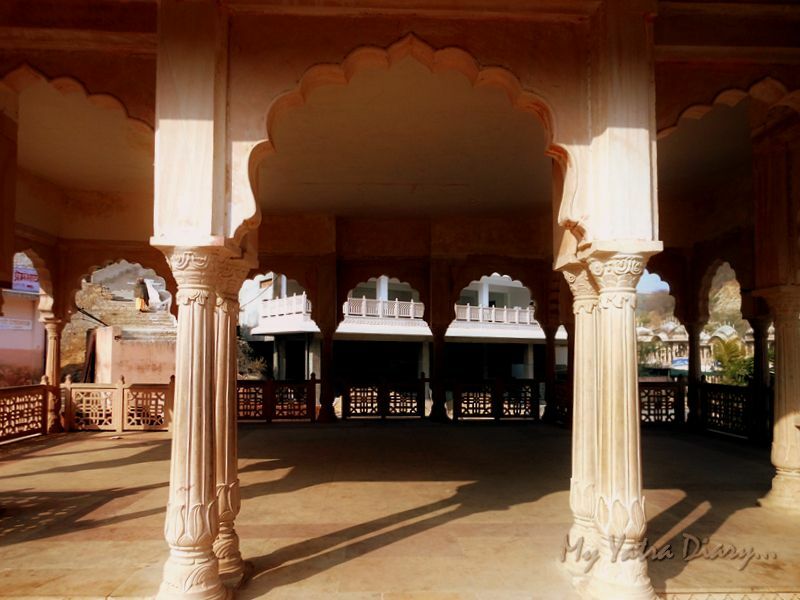 The impressive havelis and jharokas enveloping the main temple building. 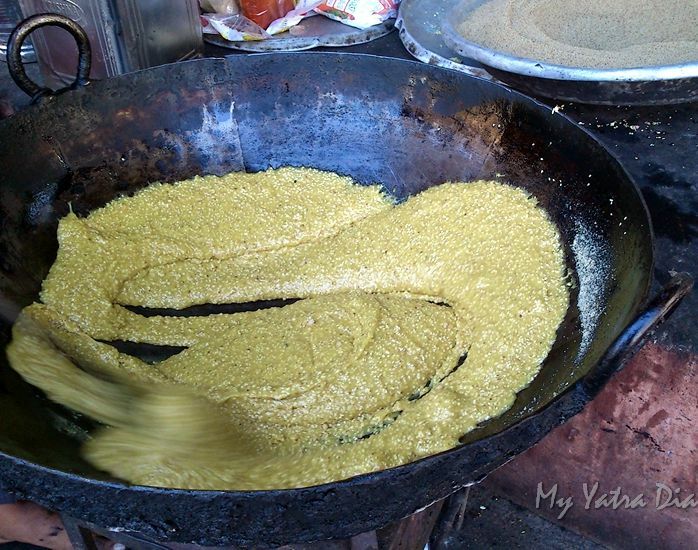 The wafting aroma of churma being sauted in ladleful of pure desi ghee and a spicy concoction of dal simmering in a big deep cauldron placed on a wooden fire. ... All being cooked and prepared as in villages. 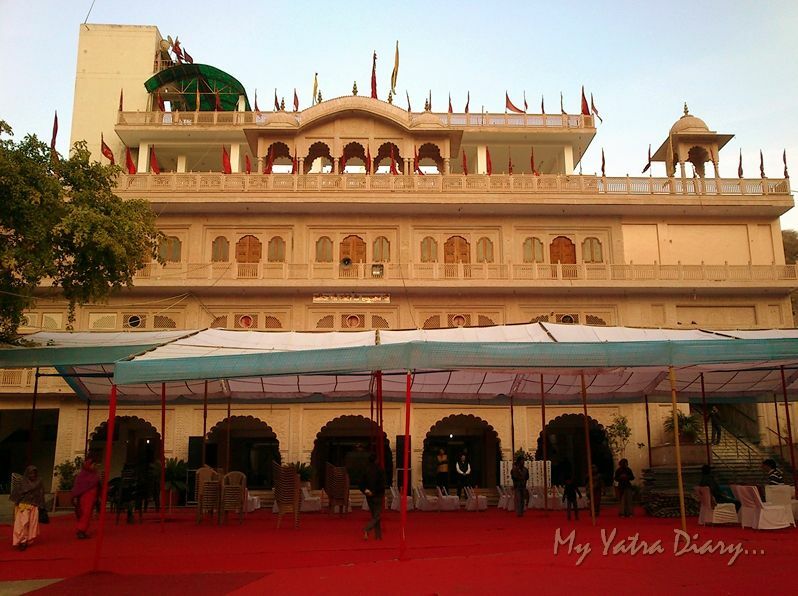 Such a delectable sight of rasois coming alive is not uncommon as the temple, with a massive accommodation space of hundreds of people at one go, hosts parties and feasts in its premises regularly. Keep an eye out for if you happen to be in the temple during one of such occasion, you would love being a part of it. If you feel proud, let it be in the thought that you are the servant of God, the son of God. Great men have the nature of a child. They are always a child before Him; so they are free from pride. All their strength is of God and not their own. It belongs to Him and comes from Him. When is the best time to visit Khole Ke Hanumanji Temple? Anytime goes and depends on your preference. However, please note that the temple is more crowded on Tuesdays, Saturdays, during arti times and festivals like Hanuman Jayanti which is celebrated with huge fan-fair. What are the opening and closing darshan timings of Khole Ke Hanumanji Temple? The temple opens at 6 in the morning and closes at 9 in the night. If you liked reading this post, PIN IT for others to read! 1. 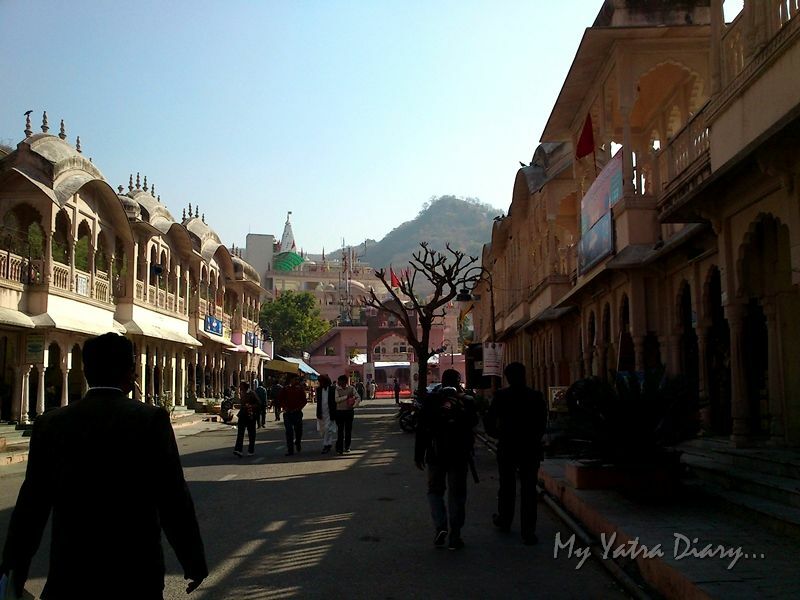 Budget Heritage Hotel in Jaipur, Hotel Kalyan – A Review. 2. 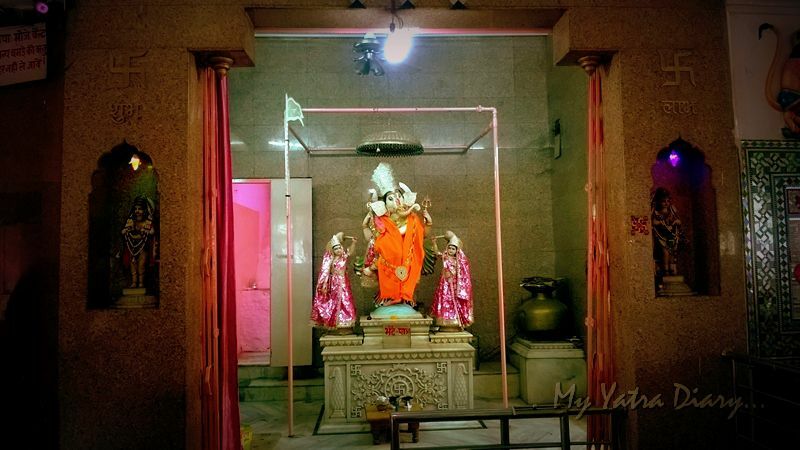 Ancient Temples to Visit in Jaipur: Moti Dungri Ganesh Temple. Amazing Post with neat write up and photos. Stunning, simply stunning. Both you words and pictures made me feel as if I were there. What a gorgeous, beautiful temple! 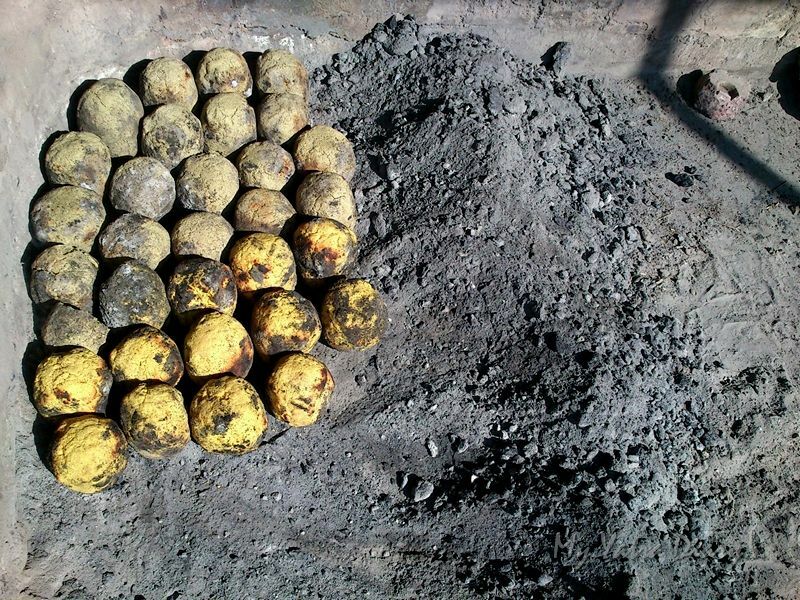 It is interesting to see that baatis are baked in traditional mud oven! PS...We had an extremely hot weather in August as usual. How have you been? I have heard that your country also has abnormal hot weather. We really miss autumn don't we? I am not a temple person but your narration was really captivating to read till end.. I am so fortunate to have Darshan of Khole ke Hanumanji by this post. :-) I don't feel it as (just) a virtual Darshan. Rasoi gives feeling of having Prasad as well. Thanks dear Arti. Another hidden gem that you have introduced us to. 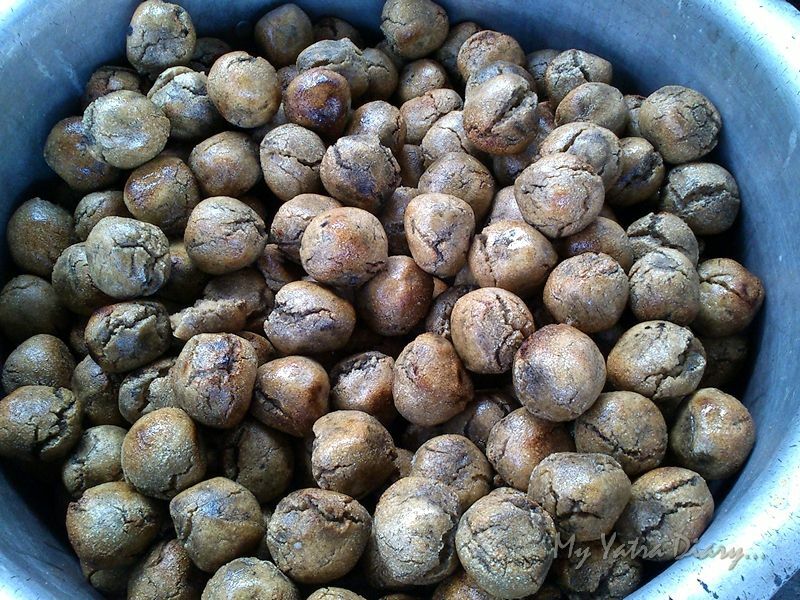 The kitchen picture makes the experience complete...I have tried the Bati made on chulha and it is the best and combine that it being served as divine prasad at the temple and it is a true out of this world experience. Beautiful report and photos. THANK you very much! 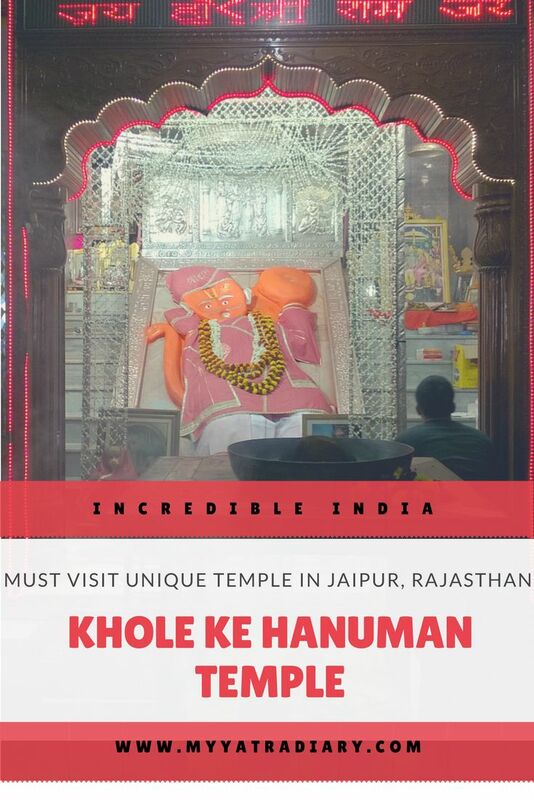 Khole ke hanumanji has become very popular temple in Jaipur. 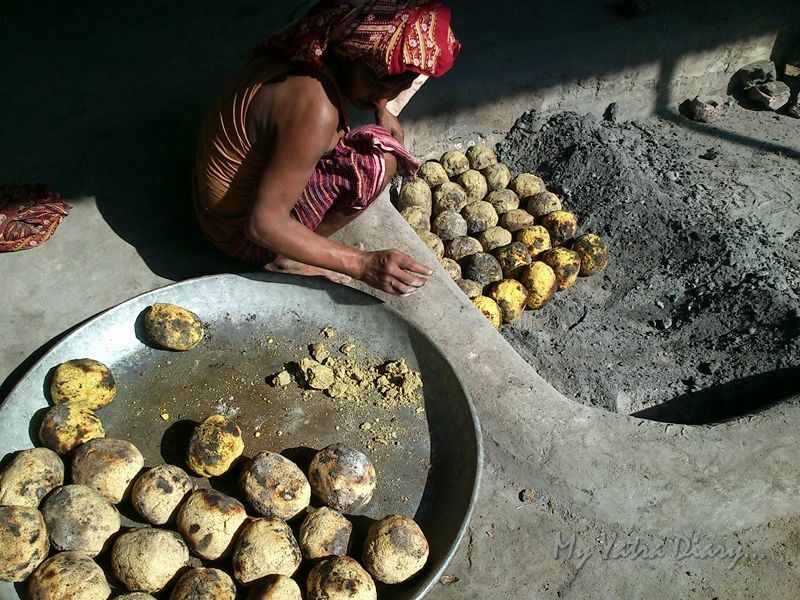 It is famous among locals for daal baati churma being hosted by devotees! though the temple is not very old but its popularity is soaring. This was very interesting! I had no idea that this was such an incredible temple to see! Thanks for sharing.